The Ash City – North End Men’s Excursion Utility Two-Tone Performance Shirt is available in Sizes S-5XL. It can be purchased in your choice of the following colors: DK Oakmoss, Graphite, Navy and Stone. 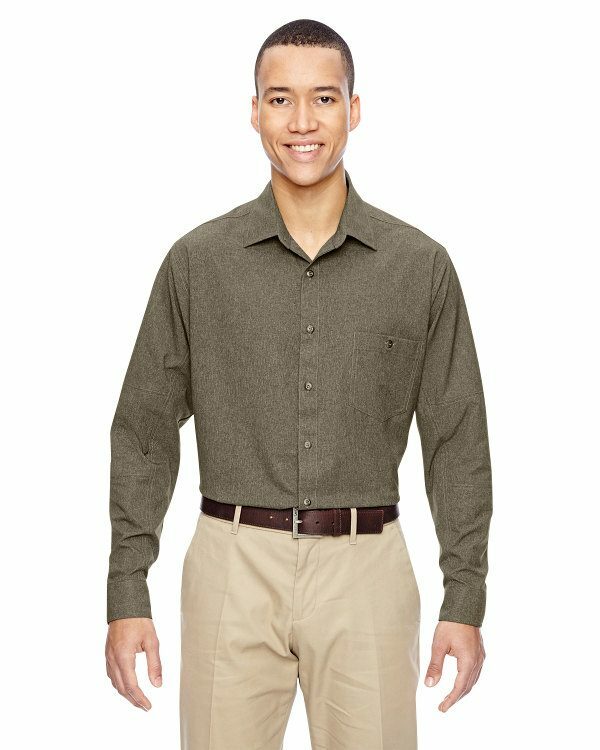 SKU: AB-87045 Categories: Activewear, Corporate Apparel, Men's Corporate Apparel, Men's Corporate Shirts, Woven Shirts, Woven Shirts, Men's Clothing, Shop by Color, Navy Tags: men's clothing, woven shirts Brands: Ash City. This Men’s Excursion Utility Two-Tone Performance Shirt is moisture-wicking and full two-tone polyester, this structured collar stand with integrated collar stays provides a clean and professional-looking collar and is suitable for corporate uniforms, service wear, hospitality and travel wear, as well as a retail environment.